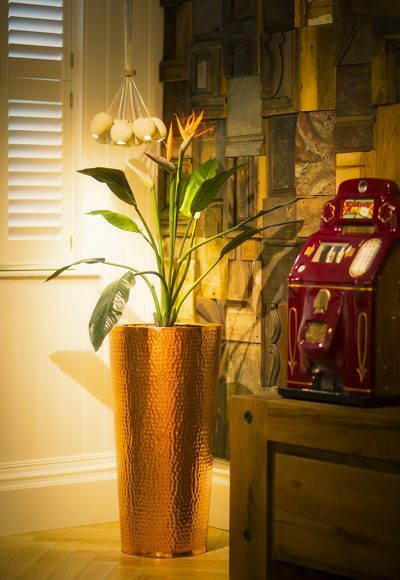 The Hammered Copper Planter is a conical shaped planter and made of real, solid, copper. This on trend style that adds a warm hue to any home or office. As our Hammered Copper Planters have been lacquered they are perfect for outdoors too. There are three sizes available in our Hammered Copper Planter range. All of the sizes compliment each other so they would fit perfect in a set of three or in pairs of the same size. Fill with your favourite plants to add glamour and style. Why not add a mix of metals, also available are our Hammered Stainless Steel Conical planters.